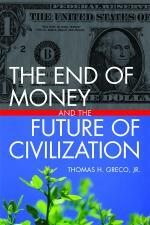 The New Economics Foundation has recently announced a new handbook. Covering a variety of currency designs from time banks, LETS, and currencies issued on the basis of conventional money payment, People Powered Money: everything you need to know to set up a community currency, is a useful guidebook for grassroots exchange innovators. The book can be downloaded from http://communitycurrenciesinaction.eu/peoplepoweredmoney/. This entry was posted in Developing Alternatives, Exchange Design and tagged new economics foundation. Bookmark the permalink.